Most of us haven’t given our garage door opener a single thought; until the day that you push the button and nothing happens. When you are faced with replacing your garage door opener, you may want to know what is best for your garage door. There are many different makes and models when it comes to garage door openers. Vegas Valley Garage Door Repair is here to share some tips to help you choose the right garage door opener for your house. Garage Door openers come with a few different drive type options; chain, belt or screw. A chain drive garage door opener is going to be your best bang for your buck. It is the more durable of the options, but it also the noisiest. The screw drive opener is a great middle ground between the belt driven opener that is nearly silent, but also one of the most expensive. The next thing you need to consider is the horsepower options that are before you. For residential applications, most homes don’t need anything above ½ horsepower. For those that have an abnormally heavy garage door, you could consider ¾ horsepower. Anything above that is made for industrial garage doors. When you choose a garage door opener with rolling code technology, you increase the safety and security of your garage door. With other garage door openers in the past, you could very well have the same garage door code that other people in the neighborhood did. This newer technology generates a new code from billions every time the garage door opens. 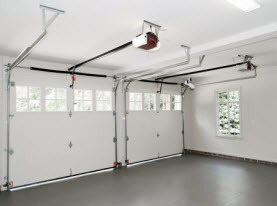 The majority of garage doors are 7 feet high. Since the standard size is 7 feet high, most of the garage door openers on the market are built to lift and fit 7 ft high garage doors. 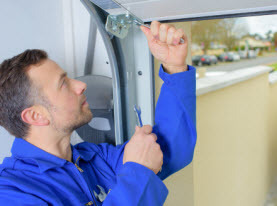 If you have a garage door that isn’t the standard size, you need to consider the added costs that may come with finding a garage door opener that can be modified. Just like anything else, there are several different brands to choose from and the prices vary. Do your homework when choosing the right garage door. Know what sets apart one garage door opener from another as well as fits within your budget. 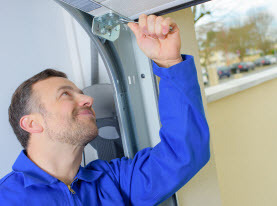 The best way to go about this is to decide your budget before shopping for the right garage door opener and go into the process having done some research. 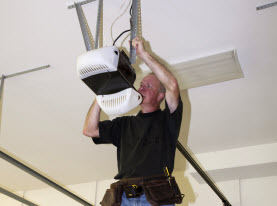 Liftmaster is our preferred brand but no matter what garage door opener you choose for your garage, the garage door experts at Vegas Valley Garage Door Repair will install it for you. We specialize in garage door installations and repairs. There isn’t a garage door that we can’t handle. You can count on expert installations when you choose us. Call us today for more information on the services we offer.